The average exchange rate between the $US and $CAD from 1961 until June of 2016 was 1.245, or $CAD 1.245 dollars per US dollar. While there have been both years of parity and years that were horrendous, on balance, our currency has historically been about 25% less in value than that of our friends to the south. Makes sense to me, as the US has a GDP more than ten times that of Canada, has a more diversified economy, and is the most widely held world’s reserve currency. While it is always nice to buy in $USD when the exchange is more favorable, it is hard to peg, and you may end up waiting a decade of more for the pendulum to swing back. In short, on average you are going to pay a 25% exchange rate, plus bank commissions. 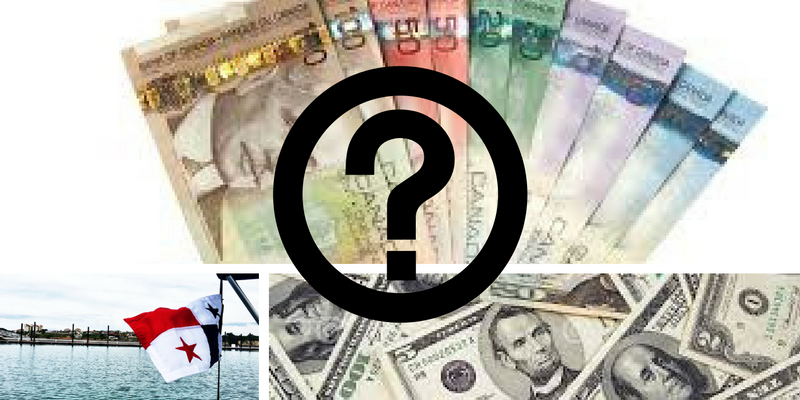 What would the average Canadian pay for a lakefront, oceanfront, or riverfront property? In Vancouver, according to NUMBEO.COM, the Price per Square Meter to buy an apartment in City Centre is 9,045.54 C$ with a low of 7,534.74 and a high of $10,763.91. Note that city center doesn’t mean oceanfront either. beachfront areas where most expats live range from $USD 1900 per square meter to $USD 3500 per square meter. Even after conversion, this still represents an outstanding bargain. In a highly successful program to encourage a strong housing market, Panama offers a 5 to 20-year property tax exemption for new home construction. This exemption applies to both condominiums and houses. While the 20-year tax exemption has ended for new construction 5, 10 and 15-year exemptions are still granted. These exemptions provide significant financial savings over the life of the asset and will remove much of the cost of exchange over time. 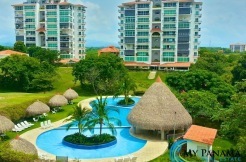 For example, assume you purchase a condo for $USD 210,000. The converted cost at a $.75 exchange rate will roughly be $280,000 Canadian. This is still an exceptional buy on its own accord. If your condo has a 15-year tax exemption (and we assume $3,000 per year in property tax savings), this reduces your bill by $USD 45,000 here in Panama. This alone removes a chunk of the exchange rate burden. You must ask your local real estate professional to ensure any project you look at is covered by the national tax exemption, and I strongly suggest you have a local attorney manage the transaction. 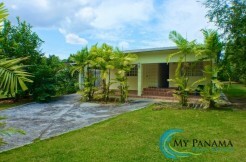 There are tax shelters available in North America for asset holding as well, but Panama has some superb, and completely legal tax structures to assist you in minimizing capital gains tax and inheritance tax (for our American friends). Setting up a corporation or foundation is relatively inexpensive, and many expats take advantage of this. One of the things that attracted me most to Panama is that they provide some relatively straightforward options to achieve permanent residency. The Panamanian constitution allows foreigners to own property, but I have always felt more comfortable having attained permanent residency. You can also apply for citizenship in Panama once you have been a resident here for five years. If you do not feel the need to have residency, Americans and Canadians can stay in Panama for 180 days out of the year without the need for a visa. 6) Many Quality Investments Require Exchange to $USD. “Canadian investors waiting for our dollar to recover could be missing out on great opportunities outside the country,” according to a money manager and a currency expert. Canadian stocks are rather non-diverse by nature, given that ⅔ are financial, energy and materials companies and as plunging oil prices take Canadian stocks into what seems like a bottomless pit it is easy to see why many are feeling trapped. In my mind Panama, while not perfect, offers the best mix of safety, security, healthcare, cost of living, weather, and still offers significant value in real estate. Compare Panama’s GDP growth for the last decade against Canada, the USA, and Europe, and you will see my point. Panama is the economic engine of Latin America, and is listed as one of the few countries on earth that are “Peaceful.” Even after accepting the cost of currency exchange, I believe Panama still is one of the best bargains globally. Then, you get to watch your asset grow in US dollars, from your oceanfront condo with a $USD sixty-five cent Cerveza in hand. Written with Tina Walsh Wilcox because clearly, a Panama Texan would know very little about Canadian Exchange Rates. Tina has lived in Panama for eight years avoiding snow and helping fellow North Americans find their paradise here in Panama.